You’ve probably heard the saying “a tired dog is a happy dog.” I agree. But that statement doesn’t entirely represent the full picture—a mentally-stimulated dog is a happy dog. You go for long walks, you play fetch, and your dog is still full of energy. You don’t know what to do. You’ve tried to do the right things, but nothing seems to work. Your pup has chewed through the door, he’s dug holes in the yard, and you’re at your wit’s end. You’ve scoured the Internet looking for advice, and for trainers who might possibly help. If you’ve felt frustrated and confused, you’re not alone. Sadly, every single day, dogs end up in shelters due to energy levels that exceeded their owner’s expectations. Physical exercise is excellent and necessary for a dog, but it’s only half of the equation. Your dog, intelligent creature that he or she is, also needs mental exercise. My own dog, Maggie, hikes miles with me, paddle boards, and joins in on all of our adventures and road trips. But even so, with each of these activities, I make sure there’s a component of mental stimulation. And this starts at home. While I do make sure Maggie has the right amount of exercise every day, she’ll be more tired after fifteen minutes of scent games than after a thirty-minute walk around the neighborhood. Yes, seriously. Mental fatigue makes dogs (and humans) feel more physically tired than a physical effort alone. You can use this bit of science to help your dog get to what she wants most — a nice long nap. 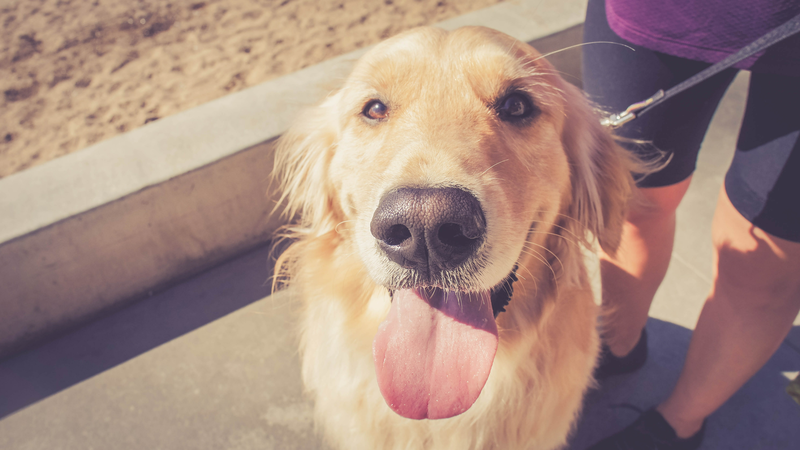 As a trainer, many of the hyperactivity and destruction problems my clients struggle with can be resolved by adding mental exercise to their dog’s daily diet. Excessive barking, destroying the house, destroying toys, eating socks — all of those things have gone away after the owner starts to give the dog mentally-stimulating activities. But ‘mentally-stimulating’ activities aren’t things like chess and crossword puzzles (not even Maggie likes those!). For a dog, it’s mostly just simple, fun games with their owner. Go for a walk with your pup, but instead of hustling around the block or rushing back to run your errands or do the laundry, set some extra time aside to let your dog wander and smell the bushes, watch the squirrels, and sniff the neighbor’s dog (with their permission of course), and I have a feeling you will enjoy the walk too. Train your dog to perform some simple tricks. Some of our previous blog posts explained how to teach a ‘retrieve’ and a ‘drop it’ command. Just by spending 5-15 minutes a day, you’ll be surprised what your dog can learn. You’ll also be surprised by how much you learn about your dog through training, and you’ll see how much it takes out of them. I recommend ending each session with a favorite treat and some snuggling. Your dog will be ready to settle down, too. Apply the tricks you’ve taught in other ways. Ask your pup to retrieve various objects around the house once they have a reliable retrieve. Ask them to drop the ball in all sorts of objects from tall to tiny containers. Be as excited as they are about every success! Playtime plus training; what could be better? Standard fetch doesn’t provide a lot of mental stimulation: find the ball bring it back, rinse, repeat. Teaching your dog to use the iFetch not only gives you a chance to put those newly-acquired skills to work; it’s also the perfect balance of mental and physical stimulation. From the Frenzy brain game that rolls the ball out to the iFetch and iFetch Too that shoot the ball across your living room, there’s one for every size and energy level. The mental “catch” is that they have to figure out where to place the ball to initiate the reward — the ball being thrown or found again. This is one of Maggie’s favorites. Put your dog in another room or in his crate; then hide a few treats that have a strong scent. Start with somewhere close by and simple at first. Then release your pup and say “go find it!” Watch as your pup engages their doggie-powerful senses to find the treat and then enjoy it. As you play this more often and your dog understands the game, you can add complexity — hiding it in another room, under a table, on a bookshelf, etc. We all know the classic game we played as kids. Our dogs can love it too! You’re going to need a human friend to help you with this one. Have your friend ask your pup to sit in one room (there goes those new training behaviors again) while you go hide. Start somewhere easy (behind a couch, behind a curtain, in the bathtub) and call your dog to you. You can both enjoy the ‘surprise’ of the moment. Reward them with treats and belly rubs when they find you. Games for dogs: There are lots of stimulating games available for purchase, and you can also make some at home. I’ve filled a cupcake pan with iFetch mini tennis balls and then watched as Maggie enjoys trying to figure out how to get all of the balls out. We hope you and your dog enjoy playing these new stimulating games, which, in turn, should lead to you and your dog spending happier quiet time together. So the next time you take your dog for a long jog or walk, don’t forget to work in some mental activities too. Just incorporating a few training commands while you’re on your run or walk can go a long way.